Christmas this year, for me, started on the 1st of December, when I flew to Salzburg to experience an authentic Austrian Christmas – at least for the 5 days I was there. 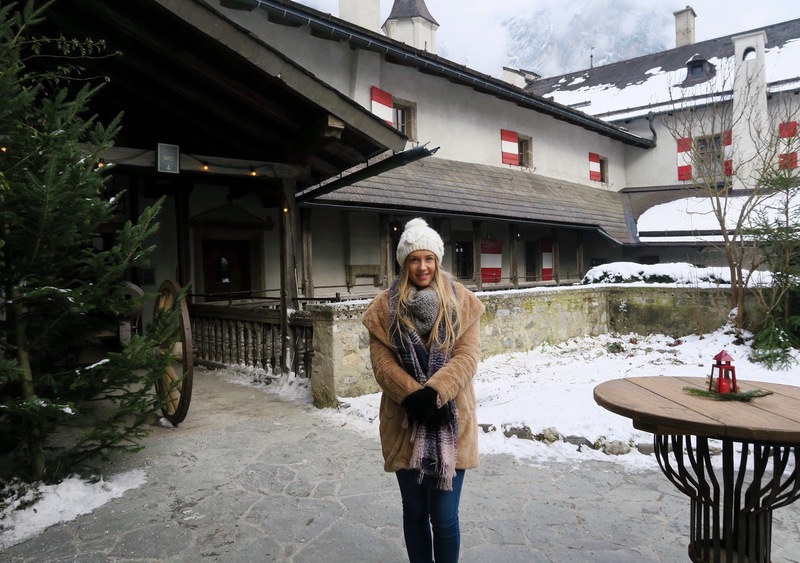 I travelled with my Mum and Dad, and we had two main things on our list that we wanted to see and experience whilst we were there: visit the Hohenwerfen Castle (where the film ‘Where Eagles Dare’ was filmed), and to visit the beautiful Christmas markets. We actually stayed just outside of Salzburg, in a very cold (it reached -10 degrees at one point!) little town called Werfen. Think mountains, think snow, think a 900-year-old farmhouse at the top of said snowy mountains. Our hotel, Bio-Bauernhof Rettenbachgut, was in a lovely location if you’re looking for somewhere peaceful and quiet, and you don’t mind feeling like you’re in the middle of nowhere. Although, it was definitely an adventure to walk up and down the steep (and sometimes icy) hills every day, but it was an experience, that’s for sure! The Hellbrunner Adventzauber, or Hellbrunn Advent Market, was huge. 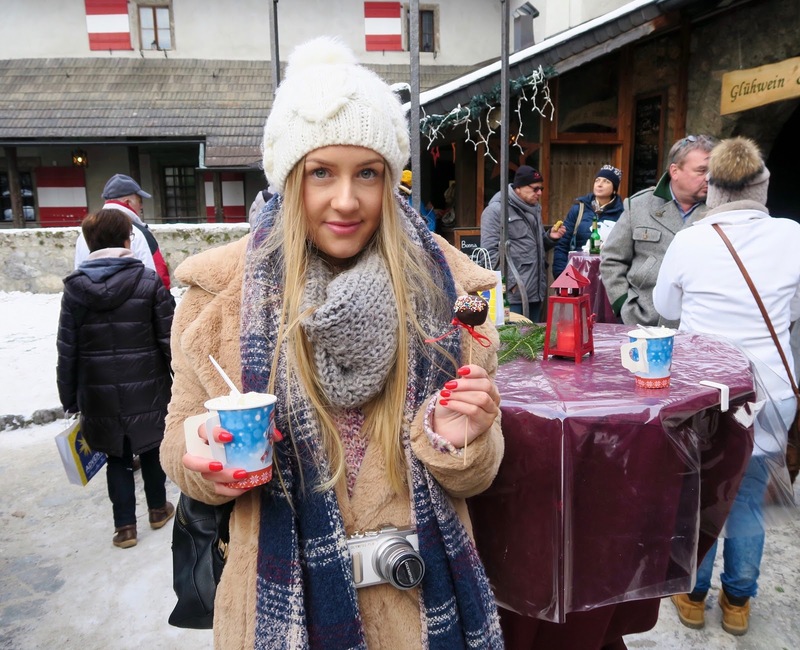 There were so many amazing stalls, each filled with Christmassy ornaments and Glühwein – if this doesn’t sum up Austria at Christmas, I don’t know what will. Other than the oversized red baubles on all of the Christmas trees, my favourite part about this market was how the windows of the palace turned into a huge advent calendar, with a different window showing a different number on each of the 24 days leading up to Christmas. Stood just in front of this was a choir, singing different Christmas songs, and it was just a really lovely way to get into the festive spirit. 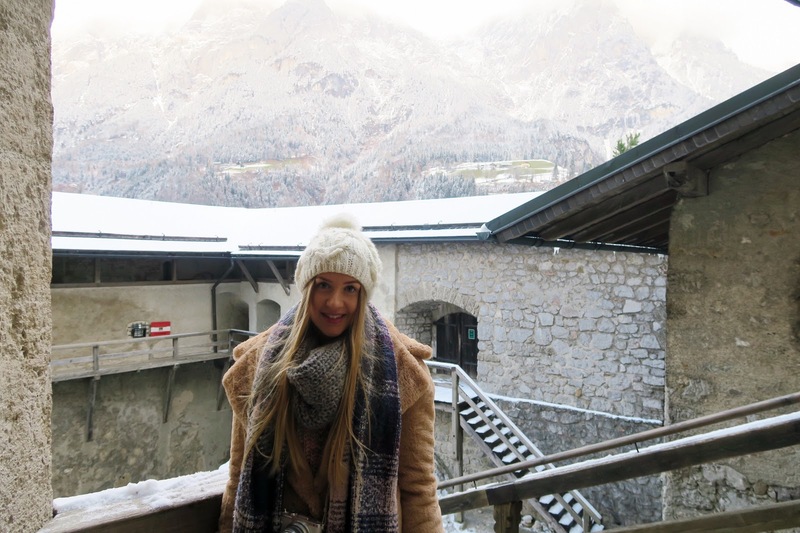 The day that we decided to visit the Hohenwerfen Castle, they had an advent market in the courtyard at the top! It was ideal. There was live music (Christmas songs, of course), local delicacies to try, and lots of handmade ornaments to buy from the stalls. I bought a cake on a stick – as seen in the photo below. It was covered with chocolate and sprinkles, and it was literally just a cake on a stick. Who’d have thought it? It was really sweet, but nice to try. We spent most of our day there, and, despite how cold it was, it was brilliant to experience an authentic and traditional Austrian Christmas. We really enjoyed our time in Salzburg, and it felt like the perfect way to start the Christmas period. We were fortunate enough to spend a couple of days there with snow on the ground and mountains, so it felt like the dream Christmas, surrounded by snow. I would definitely recommend visiting Salzburg and their Christmas markets over the festive period, but be prepared for the extremely cold weather.. If you haven’t already guessed, I hate being cold, and those 5 days were more than enough for me, but it was definitely worth the visit. Just remember, LAYERS. Have you ever been to Salzburg or visited any of their Christmas markets? I’d love to know of any that you’ve visited, or would plan on going to! 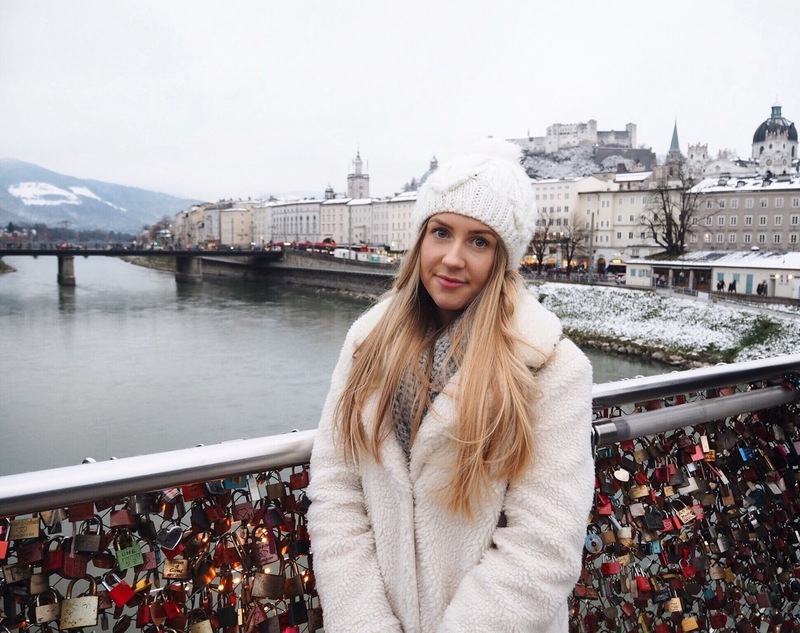 I also filmed a video from my trip to Salzburg, so if you’d like to watch my vlog, you can see it here. This is also my final blog post of 2017, so I’d just like to take the time to thank you all for reading and supporting my blog this year (and last year! ), and here’s to an even better 2018! I wish you all a very happy and successful new year. I so miss Germany and their Christmas markets! These photos are gorgeous! I spent Christmas in Munich one year and I’m dying to go back…it’s such a magical time to be there. I hope you had some Gluhwein!